We can restore your dull, cloudy or hazy looking headlights to make them new and safe again. The cost to replace your OEM quality headlights can be very costly, with some headlights costing as much as $1200 for a new set of OEM replacement lenses. The next best economical solution is to restore or refurbish your original headlights and bring them back to life and they will look new once again at a fraction of the cost. Ultraviolet radiation from the sun is the primary culprit in the headlight aging process compounded by other environmental factors. We will not only restore your dull unsafe headlights, we will return them as closely as possible to their new, original state once again. If you have difficulty seeing the road at night, or in adverse weather conditions such as fog, heavy rain or even snow storms it may be due to cloudy headlights. If you have a hard time seeing what is in front of you, just think about how others on the road see you... or do not see you rather. With our headlight restoration process you will have much greater visibility in driving, as well as making the road safer for you and other vehicles around. We utilize the 3M restoration system which is a four step process. We begin by prepping the area to be treated. Once the headlight areas have been prepared for the restoration, we will put our high-speed dual action sander to the headlight to begin removing the existing UV damage to the headlights. When the contamination is fully removed we can then begin the polishing of the headlights using our high speed polisher. After we have restored the headlight lenses to a high transparent luster and it looks completely rejuvenated, the final step is to seal the lenses with our 3M Paint Protection Pro series film. You will be amazed at the finished product! To keep your restored headlights looking new, a simple effective way to keep them looking great is wash them on a regular and routine basis. Remove any dirt or bugs from the lenses as quickly as possible and keep a nice coat of polish on the paint protection film. A good quality polish will keep them looking good for years to come. We guarantee that your newly restored headlights will remain looking good for 5 years if a paint protection film is installed as part of the restoration process. If the headlights were restored without the paint protection option, the warranty term is 12 months. 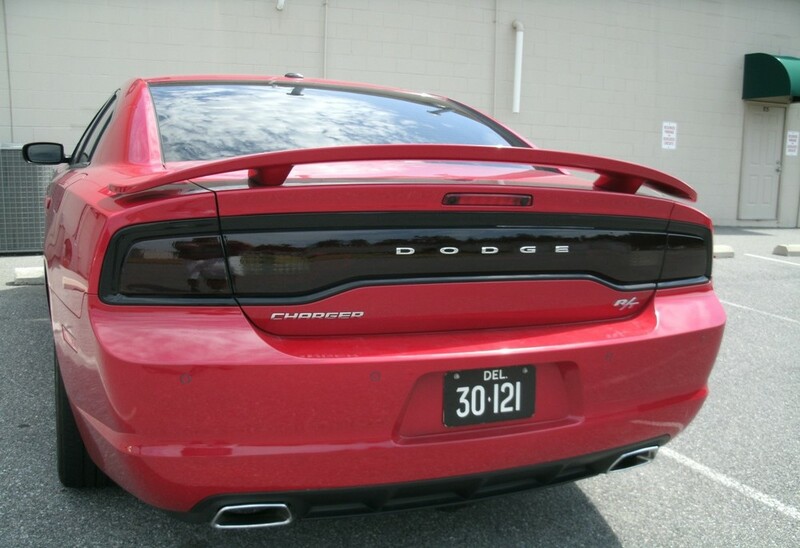 If you are looking to give your vehicle a fresh and updated look, you can do this by simply purchasing a set of our taillight film covers made by Lamin-X. This will give your vehicle a customized and stylish look. The lighting film is made of pliable and very strong poly, color vinyl film. You select the style, shade of film and how much of the lenses you want to cover - either the entire lense or a portion of the lense. Our experienced staff can help and guide you on whether or not the lenses on your vehicle can be filmed. Call today for a free quote. Lamin-x is the complete opposite of other cheaper film counterparts. It has a glossy finish, forgiving adhesive, added protection, and is designed to mold around complex curves. Lamin-x protective film can be easily removed without damage to the light. Not to mention, the film is manufactured in the USA, and offer a 5 year warranty. We can install Lamin-X on your headlights, taillights, side-markers, mirror-indicators, and taillight reflectors. Please keep in mind that not all Lamin-x films will pass the Delaware State inspection. Check with our experienced installers to determine what is allowed and what will pass the inspection process for the state of Delaware. For all other states please contact your local DMV.